1) I feel my hair being pulled and tugged a lot less! There’s less breakage with a scrunchie, but it still holds a nice tight ponytail. So replace your elastic with a scrunchie when chilling on the couch, working out, or running errands. I still don’t know if I condone this look in the presence of a fine man. 2) It’s girlier than a Mia Hamm hair band/elastic/whatever you call it. 3) It won’t give you a ring around your wrist when you wear it there! Yay for circulation! 4) I love the 90s and so do you. 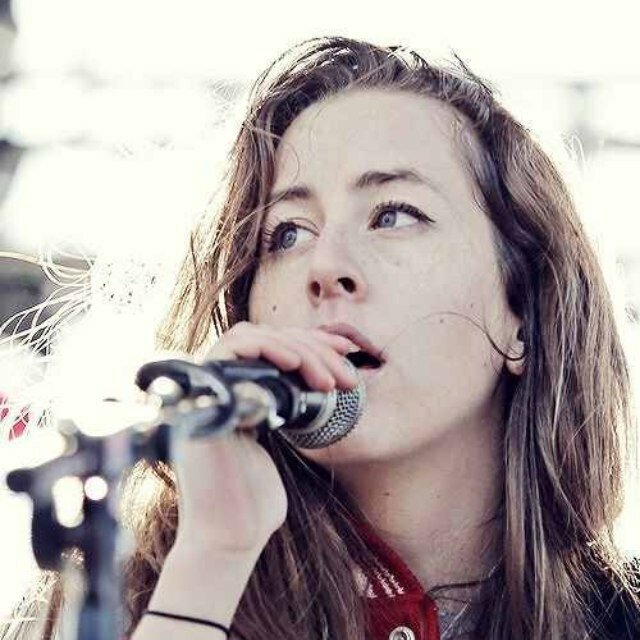 Those Haim girls…awesome music, questionable hair care. barf. But now, I wash my hair once a week. Whenever I tell my amaze stylist this, she says, “Good girl.” By now, everyone knows it’s better for your hair to bask in its natural oils for as long as it can before your hair is so limp, stringy, and stuck to your head that you look like a member of Haim. However, my dad is still repulsed by this idea of shampoo conservation (as he is about pretty much all forms of conservation.) His hair is Homer Simpson-esque, so his opinion doesn’t count. I digress. In addition to the benefits of the natural oils, do you know how thin my hair would be if I washed it every day or every other day? Whenever I wash my hair I feel like a cancer patient. I will blog about falling strands another day in the near future. Anyway! 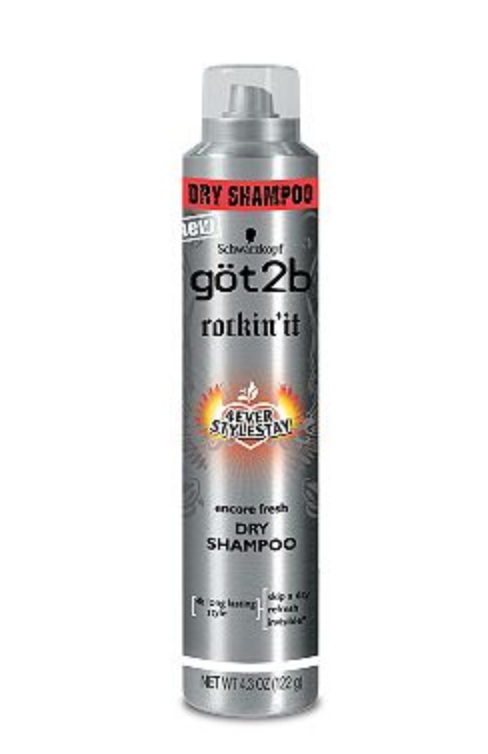 I’m able to go usually a week without washing my hair, or five days if I’m seeing someone important, thanks to Got 2b’s amazing Rockin’ It dry shampoo. The increased popularity of dry shampoos has revolutionized the amount we wash. I’ve been using Rockin’ It for about 2 years now and it’s the highest quality for pretty much the lowest price at $6.49. When all the CVS brand hair product lines started rolling out a few years back, I tried them all and found myself disappointed, until I found this gem. The can will last you about a month. It zaps the grease and makes your hair so voluminous. In fact, I find my hair looks better a few days post-washing because of this product. I recommend to start spraying it in about 48 hours post-hair wash when you’re about to go to bed. You’ll wake up with it fully absorbed and your hair beautifully full. omg hilarious!!! i love you. i too am all about the make-up and am a super-minimalist when it comes to hair. I’m basically all about preventing breakage and having soft, touchable locks, but that’s about it. i just may go out and buy a scrunchie in honor of this article alone. xoxo C.C.